FROM 1974, my older brother, Vincent Parrott, had a friend who would frequently visit our home and later, because of some family problems, lived with our family for some years and thus became a brother to us. A mistake at the registration of his birth made him Ronald Van Niekerk. Later the mistake was rectified and he became Ronald Olivier, but we called him Ronnie or Whitey, a nickname he abhorred and which annoyed him endlessly. But what are nicknames for? 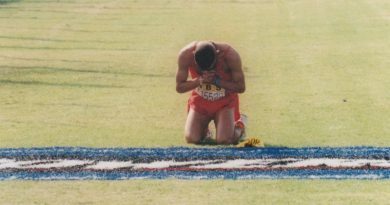 Way back in the 70s, he would talk non-stop about running: how to run, how to improve running, how to get more running into a training programme, coaches like Percy Cerutty, Arthur Lydiard, and Harry Wilson, athletes like Lasse Viren, Arne Anderson and Gunther Haegg and Wes Santee. 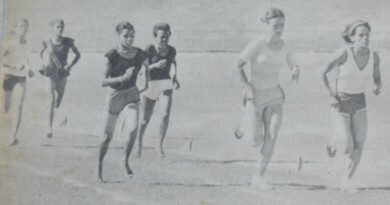 Vincent Parrott left and Ronald Olivier third from left are seen running in the colours of the Elsie’s River Amateur Athletics Club. At the time, I thought him to be slightly off his rocker, but I later realised that he was a stupendously intelligent individual, who possessed a vast knowledge of athletics on a vast number of topics, flowing from his insatiable love for reading. He and my brother were like the Biblical David and Jonathan – closer than brothers. 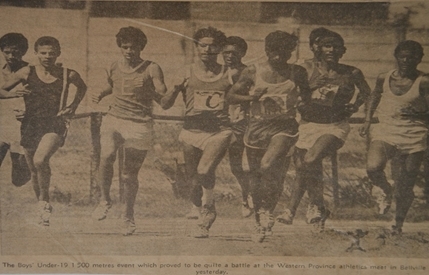 In 1978 the friend unselfishly gave up his place in the Western Province Junior 4 x 8km road relay team, which included Derrick Van Diemen, Freddie Williams, and Charles Keeble in order to allow my brother to have a spot in the WP team. Ronnie opted to run the full marathon as a 17-year-old and still achieve his WP colours. The two of them joined the Elsie’s River Athletics Club in 1975. They were also founder members of the Stellenbosch Amateur Athletics Club in September 1976. 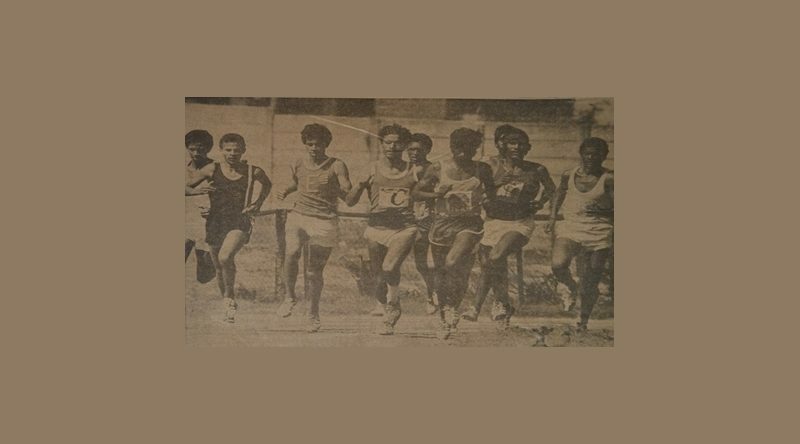 I started my own running career on 22 April 1977 as a direct influence of my brother’s friend. Ronnie sadly passed away on 25 January and will be laid to rest tomorrow, Saturday, 3 January. Ronnie, I know you will disagree with me (that was just your nature), without your influence and knowledge, all my athletes and their athletes would have been so much poorer. Go well, Whitey!